Chicken Behavior - What Should You Expect? In order to properly execute the process of chicken keeping every chicken keeper should know what kind of behavior he or she should expect from chickens. That will help them recognize a problem in the flock or just to stay calm and not to panic when the behavior of their chickens is not the same as it was before. For today`s article we decided to focus on the particular part of this subject that concerns only the behavior of young pullets and cockerels. What Do Chicks Know, And What They Have To Be Taught? 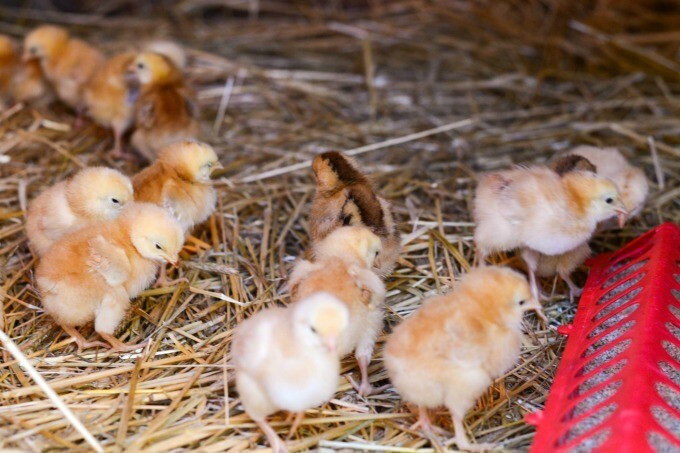 When hatched small chicks have some parts of their behavior that come instinctively and others that have to taught to them by a hen or their chicken keeper. Few days after hatching a chick will start instinctively to scratch on the ground slowly try to peck. Even if the chicks is alone and you give it a treat the chick will first start to show fear and run around the treat in order to make sure that other chicks will not fight for it. Chicks must be taught how to drink though, if a chick does not get help in order to drink by a hen or the chicken keeper it may lead to it dying from thirst. They peck at their feces until they are taught not to do it also. If you do not have a mother hen for your chicks it is your responsibility as a chicken keeper to gently dip the chicks beak into water and they will start to drink. There are interactions between the chick and its mother hen even before the egg hatches. They communicate vocally the day before the egg hatches and continue to do so more and more often until the egg hatches. This is how the hen knows if something is wrong with the egg and sometimes pushes it out of the nesting box to indicate the same thing to the chicken keeper. When the egg breaks and the chick comes out the thing the chick needs the most is heat. The chick will instinctively go to the nearest source of heat – in most cases that will be hen unless the chicken keeper is using an incubator to hatch eggs. When the chick is born it will make a lot of unpleasant noises to indicate that it is afraid and under a lot of stress. What calms the chick down the natural way is the calming sound of a hen (If you want to know more about how chickens communicate check out this article). If chicks from different hens are combined afterwards almost every chick can recognize its mother hen – this happens effectively while they are from three days to one week old and afterwards the chicks usually get more curious and want to roam and mingle and in most cases don`t require the help of a hen. Chicks have been known to even recognize their mother hens in the dark. There are always exceptions where one of the chicks will make a mistake and that should not be a great cause of concern. The color or the hen and the sound she makes help the chick the most in the process of it recognizing its mother hen. Hens do not have their favorite chick in the young flock and they will react the same if any of them makes the unpleasant noise we mentioned above. However, if the hen cannot hear the chick she will not react. As to the warm keeping part the hen provides that for every chick no matter the order they come to her in. After two weeks or so the chicks start to feel more independent but will not stop warming up and sleeping under the hen until they are six to eight weeks old. It is up to the hen to decide the exact moment when the chicks will stay alone and she will join the other older hens. In the first three to five days of age the chicks will not show a particular need to be competitive towards one another. Once the competitive behavior starts it will continue until the chicks have determined their pecking order. In some chicks many chicken keepers have noticed more reactive and flexible behavior. They will react accordingly to help other chicks from the young flock and always fight if they need to prove a point to the other members of the same flock. 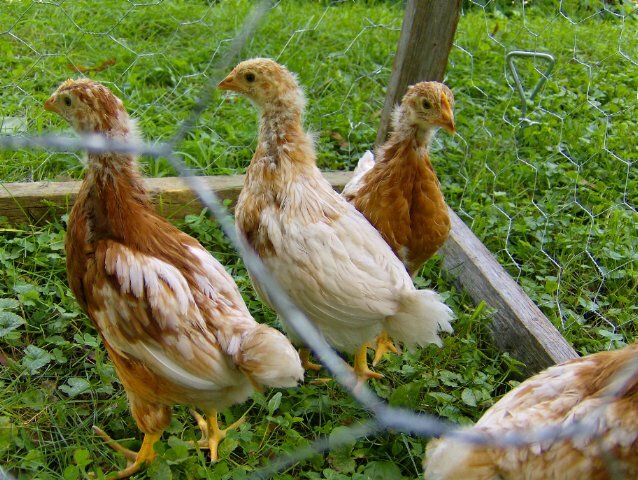 Previous Article Avian Pox In Your Chickens – How Can They Get Infected & How To Prevent It!? Next Article Pros & Cons About Keeping American Game Chickens!